In 1999, the Carmel River was determined to be one of the ten most endangered rivers in the United States by the organization American Rivers. The plight of the federally-listed Carmel River steelhead and threatened red-legged frog are but two species dependent on a healthy Carmel River, and were catalysts, in part, for creating this book. To help bridge the gap from the Carmel River and its tributaries being seen as only a resource to the living entity that it is. To inspire and educate about the importance of the preservation of the Carmel River Steelhead. To inspire people to care for where we live and to share people’s voices about the watershed and their place in it. To create a whole picture through stories, essays, poem etc. for the reader expressing the value that the Carmel River and watershed have in everyone’s lives and in the lives of the flora and fauna that depend on its ecological integrity. To act as an example for people in other communities as to how the stories people tell can help conserve and care for the land and rivers that sustain us all. Why the focus of the Carmel River and watershed? While the Carmel Valley and Carmel River is not the place it once was only 200 years ago when skies were filled with an abundance of birds, grizzly bears ruled, and the steelhead run was so prolific that the river was a radiant rainbow stream—we are fortunate still to have many opportunities to experience memorable encounters with wild places and wildlife. With habitats that are diverse and unique, the Carmel River Valley is a prime, cultural-historical location for the many people here who are aware of and who care about the integrity of the land to lead a movement of sustainability beyond green—sustainability that honors, supports, and restores the wild in all life. The Carmel River Valley calls to our deepest and greatest sense of personal and public responsibility and is a distinctly exceptional place to seek out and serve the possibilities of living in a bioregional way. Why is the book organized from the top of the watershed out to the ocean? Passion for Place is organized around the concept of the watershed because watersheds are an effective way to understand our place in the larger whole, wherever we live. It is a whole systems, ecological approach to understanding connections of the living world we share. Why is the arts perspective an integral aspect of the book/project? The arts connect us to ourselves and to each other and inspire people to take action. Creativity in its greatest depth of the human psyche and genetic coding emerges from the wildness of the natural world. When we allow wildness, our own spirit to flourish within, we can also respect and allow nature’s spirit, the wild outside, to exist. How/why did Paola Berthoin get involved in watershed education through the arts? Paola comes from a family of writers, artists, and educators and has created art since she could put her hands in paint or mud. She has lived in Carmel Valley for forty-eight years, thus, her experience of living in an area of open, natural places has formed her deep connection and understanding of the natural world. It was the Exxon Valdez oil spill in 1989 that spurred Paola on to become involved in various environmental issues. These led her to learn about watersheds and related watershed issues on a local and global scale. Over time, she found a need to respond to these issues from a place of the arts and education, rather than the specific world of politics. Water and rivers, and all that are part of those elements, have always been a main stay in Paola’s life. Thus, it was inevitable that her work would be shaped by these forces. What does the term bioregion mean? A bioregion is defined by similar topography, soils, climate, and natural ecological community of plants and animals. Bioregions are generally organized around one or more watersheds and can be nested within each other. Thinking and acting on a bioregional scale helps people to reconnect to the land that surrounds and supports them. Why might someone from another part of the world be interested in Passion for Place? What are some of the universal values? Some universal values in a nutshell: beauty, respect, caring, connection, celebration, creativity, giving/service, honoring the quiet, restoration, wildness, response-ability. Other universal values...people’s stories of their love of rivers, the land, ocean speak to people around the world...people need rivers and oceans and land for growing food, drinking water, spiritual needs, creativity/imagination. Stories help people connect to each other and the land. Creativity and imagination (for example, Passion for Place) inspire people to take action in the their own lives, in their own place, for the betterment of the natural world and themselves. Passion for Place shows people how others connect to the natural world, are passionate about the natural world..they can do that in their lives too, wherever they live. Historically, people have been inspired by the land. It is that inspiration that has created the policies that help to preserve and protect the land and rivers and oceans around the world. One such person was John Muir. Connecting to local places is key to addressing challenges on a larger scale. It is tangible. When we know where we are living..the physical place like the native peoples did... we can be in tune to what the land needs and support its health which in turn supports our health. How long did it take to create Passion for Place? From deciding to create the book, it took approximately three years and four months. In the bigger picture it began with RisingLeaf Watershed Arts in 2004. Paola Berthoin started the paintings in 2007 not knowing they would be a part of the book. Additional paintings were created for the book as it took shape through the stories people wrote. What are the backgrounds of the people who were interviewed/wrote for the book? Contributors to Passion for Place come from a variety of backgrounds. In reviewing submissions for this compilation and in having the conversations, an important aspect was to support the unique voices of the valley. Among the contributors are Rumsien-Ohlone and Esselen descendants, teachers and lawyers, artists and authors, restoration and research biologists, ecologists and resource conservationists, a dancer, an ecological designer, architect and rancher, a former county supervisor, a former principal of Carmel Middle and Carmel High schools, a former bookstore owner, a bee keeper, and fishermen. The stories and essays, poems and conversations reflect each person’s experience of her or his connection to Carmel Valley, the river and ocean. A few of the submissions were written at an earlier time, thus reflecting a certain aspect of the valley and river at that time. Why was post-consumer paper used? Where was Passion for Place printed? 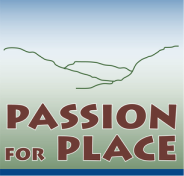 Why was Passion for Place printed locally? Where is the paperback book sold? Where can the Limited Edition hardbound book be purchased? How can I contact the publisher? How were funds raised for the project? John Dotson and Laura Bayless. Both are published authors and poets. Are the paintings done in oil or watercolor? Along the Carmel River and tributaries.